You'd better go ahead and finish the rest of the series before jumping into the game. Sword Art Online: Hollow Realization will finally be hacking its way into North America and Europe later this fall. That's great news, but it's not exactly latching onto the popular anime series at the height of its appeal since the show isn't airing any longer on TV. But that's still okay -- it still deserves your time and attention, especially if you're looking for another RPG to pad out your Vita collection. The all-new journey into the world of Sword Art Online features a story that's never been seen before in the original series, where star Kirito receives a strange message that reads "I'm back to Aincrad." And even though it's probably one of the worst ideas he could ever have after all of the terrible things that happened to him in Aincrad, Kirito goes back into Sword Art Online. But this time around, things are a little different. 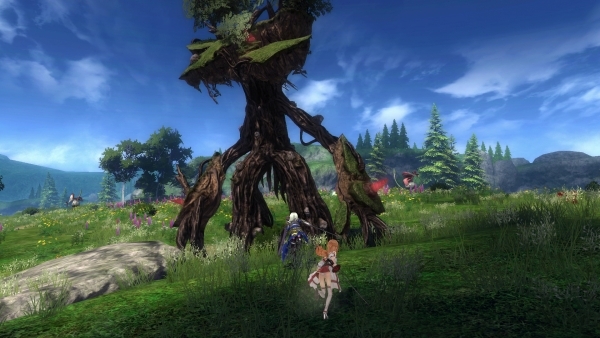 Asuna, Leafa, Silica, Klein, and other familiar characters are back in the game. It should be interesting to go back into the world and see how, or if, things have changed. It's coming out this fall, so that's not much longer to wait!